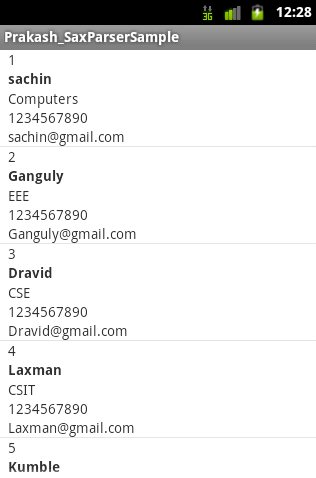 How to use WCF service in Android? This tutorial about the Rest - WCF service usage in android. WCF is a tool often used to implement and deploy a service-oriented architecture (SOA). It is designed using service-oriented architecture principles to support distributed computing where services have remote consumers. Clients can consume multiple services; services can be consumed by multiple clients. Services are loosely coupled to each other.WCF supports XML, JSON and ATOM data formats. It faster than ASMX and supports scaling/load balance.We use mostly GET, POST, PUT and DELETE methods. The HTTP GET method is used to retrieve/read a representation of a resource. The sample JSON data is below. Now, read the data from server with simple HTTP Request and display the results with the help of Lazy Adapter. We have to use StrictMode.ThreadPolicy method here. Because, the network operations (HTTPUrlConnections, HttpClients) can't executed on UI thread. So, we are using StrictMode.ThreadPolicy. We will get the NetworkOnMainThreadException on done. 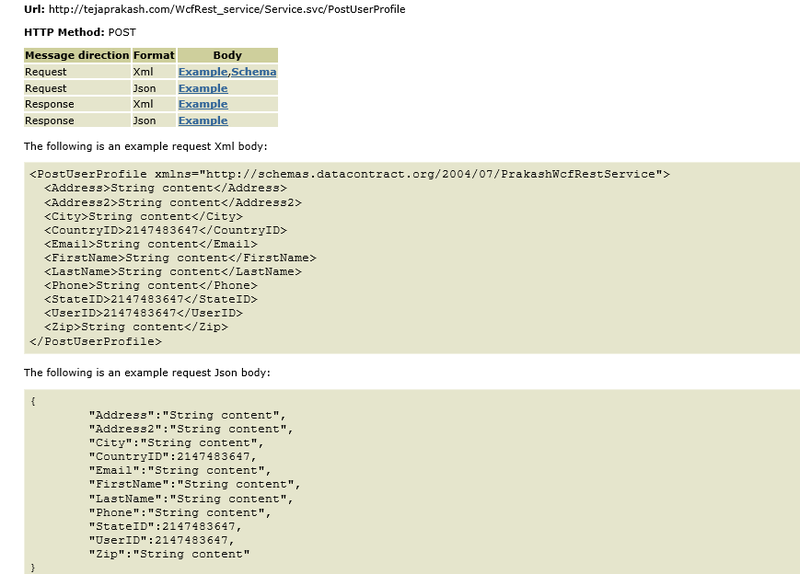 Make a HTTP request to get/read the data from the WCF Service. list.setAdapter(adapter); //Setting data to Adapter. I have created two layouts named ''wcf_sample'' and ''wcf_samplelist''. First one is main layout view and another is inflate. Follow the code below. The HTTP POST is mostly used for creation of new resource. It simply submits data into specified resource. We will post the data to server using HTTP POST in android. This is the sample format that we have to post/submit the data. And we are using below URL and format. We have to use HTTP POST method for creation of a new resource. Here, i am creating one JSON object and passing it in Post method. // jobj.put("Address", address.getText().toString()); //assign your TextBox text directly!! //Set the header content here. On successful, you will get the response "true". Otherwise ''false''. The PUT and DELETE requests will be almost same as like POST and GET respectively. This tutorial explains you about the SAX parsing in Android. SAX (Simple API for XML) is an event-based sequential access parser API. SAX provides a mechanism for reading data from an XML document that is an alternative to that provided by the Document Object Model (DOM). Where the DOM operates on the document as a whole and takes more memory to store, SAX parsers operate on each piece of the XML document sequentially. Generally, SAX parsing is suitable more for large files. Usually, Android applications need to call third-party service API's. We have so many data formats like json, xml, wddx, yaml, php, dump etc,. But we use mostly xml and json formats to transfer data. How to Parse XML data? Now, we need to parse the above xml data in android. Follow the step by step process below. First, Open or create your project. Then, create an xml layout. Now, start your activity code. Create an ListActivity named SaxParserDemoActivity. And follow the below code. //Getting student data from Raw folder here. View v=li.inflate(R.layout.saxlayout, null); //Applying layout. How to get Web Service Data? The above example shows you how to read stored file in application. But if you want to read the data from outside the application like web-services. Replace below code to above one. Add internet permission in AndroidManifest.xml.